If I tried to describe myself as an animal then I’d probably say I was more of a tortoise than a hare, though my mind has definite leaping, easily distracted hare-like tendencies. My life is, of necessity, lived in the Slow Lane and plodding on through the dense foliage ahead of me, barely able to discern the way ahead, is my current way of being. But it does allow for breath to pause, ponder and enjoy the glints of the extraordinary, ordinary graces shining in the dust and detritus. When life slows down we cannot fail to notice everyday miracles and be thankful for them. Over the last four years I have been unexpectedly blessed by a specific ‘word’ that God has impressed upon my heart and mind early in the year. It is only as the months have gone by that I’ve seen the significance of this word and its application to my life. I haven’t assumed a new one would come each year. They didn’t pop up with a ‘Eureka’ firework moment of illumination on January 1st either. Rather, it has been a gradual realisation, a dawning of awareness that this was the one to pay attention to. Long before I was on social media or started blogging, this has been the pattern for me. I see it as part of God’s grace and understanding of my individual needs. Once I saw the OneWord2013 initiative and read about the choices people were making, I realised I shouldn’t leap onto the bandwagon or try to pre-empt what God might have to share with me. So I prayed, waited and it came. Here, Jesus is offering spiritual, mental and physical rest that comes from trusting Him to carry our burdens instead of allowing them to weigh heavy. Invitation:to join God on the journey. Let Him lead. Take His hand and trust the outcome to Him because He will keep me safe. Welcome:into His Presence – the place of rest, joy and peace. Practise being with Him mindfully throughout the day. Leave:something behind that is dragging me down. Be ready to escape Egypt (past events holding me captive) and enter the Promised Land (future) of His choosing. Embrace:In order to move forward I need to be willing to embrace the new things He has planned and not try to run away from what looks scary to my eyes. Let go:of old habits, ways of doing and behaving. Requires obedience and willingness. Be prepared:for disruption. Change can feel uncomfortable for a while, like squeezing our feet into shoes that don’t fit right. Not looking forward to this part! Challenge:Despite my tortoise-like ways I am being encouraged to move forward and let Him set both pace and agenda. Committing:to the calling on my life by reading His word, praying, listening for His voice and discerning His will. and awareness of Your Presence in our lives. what You would have us do. What is God asking of you this year? Do you have a ‘word’ for 2013? More of my journey will be revealed in the weeks ahead. What a lovely post Joy. I did enjoy reading it. Firstly how you describe 'come' is what happened to me as I finally allowed God to set me free from food addiction. 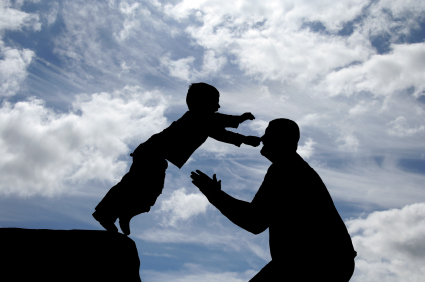 It was coming to Him as Father that enabled me to let go of the addiction and to move forward into freedom. Secondly, I do have a word but didn't see it as that until now. We had prayer ministry training in our church last week. One part of it was to get into pairs. One to be prayed for and the other to be the one praying. The one praying didn't know who they had standing in front of them. They had to pray quietly and ask God to speak to them something for the person in front of them. The person praying for me just said "Release" then went on to say "You are not holding it back" Release is my word for 2013! Thank you again for your wonderful post! I love the way your mind and heart are working in and around the word 'Come'. I love your imagery too – Father God crouched on one knee with His arm wide open, smile on His face, welcoming His little girl into his embrace. 'Come' is a lovely dynamic, multi-layered word; I bet your imagination is on fire! I have no doubt that He will surprise you with the things He will do through your focus on One Word. My word is 'Heal'. Like you, it sort of sneaked up on me; for weeks I thought my word would be 'patience'. I could intellectualise many ways in which I need patience. It all seemed very worthwhile. But then I realised that He was speaking to me on a deeper level. It's all so untidy in my head that I haven't managed to write about my word yet, but there are so many areas of my life that He might touch and heal, because there are so many areas that are in a mess. I'm looking forward to the year. Over to Him. Safe hands. Thank you for this wonderful post, Joy. Thanks for linking up to FFF! Another beautiful post my friend. I love how He blesses you with the right words and images that help bridge the gap for those of us who struggle with our identity in Christ. We only ever need come to Him. Great word! My word for the year is "fruitilicous." Asking God to help me stay connected to Him and be a blessing to others.